Winner of the Goldsmiths Prize and the Irish Book Awards Novel of the Year, a novel told through the stream-of-conscious recollections of a middle-aged engineer from the west of Ireland briefly returned from the dead on All Soul’s Day, November 2008. Mike McCormack’s Solar Bones is exceptional indeed: an extraordinary novel by a writer not yet famous but surely destined to be acclaimed by anyone who believes that the novel is not dead and that novelists are not merely lit-fest fodder for the metropolitan middle classes ... Among its many structural and technical virtues, everything in the book is recalled, but none of it is monotonous ... 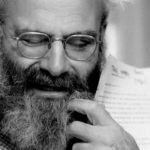 The book is a hymn to modern small-town life, then, with its 'rites, rhythms and rituals / upholding the world like solar bones,' as well as an indictment of human greed and stupidity, and how places and cultures respond to the circumstances beyond their control and yet of their own making ... The magnificent song that is Solar Bones possesses such peculiar depth, such consonances and dissonances that it is a reminder that a writer of talent can seemingly take any place, any set of characters, any situation and create from them a total vision of the reality. This is a book about Mayo, Ireland, Europe, the world, the solar system, the universe. ...[a] wholly original, incantatory novel ... 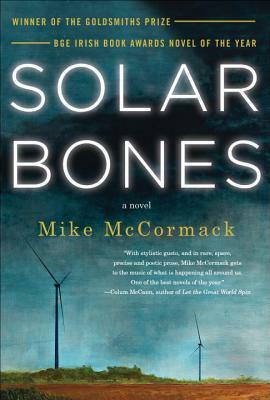 The structural innovation of Solar Bones places it in conversation with Irish experimentalists ranging from Joyce and Beckett to McBride; yet the novel’s dense layers, preoccupation with contingency, and ability to successfully launch soaring philosophical ponderings from the quotidian also align it with the likes of Jenny Erpenbeck’s The End of Days, Per Petterson’s Out Stealing Horses, and even Richard McGuire’s acclaimed graphic novel Here, which catalogs events that transpire in one corner of a single room across millennia ... McCormack’s perceptive gaze, artful elucidations, and confident prose elevate the conceit to a captivating experience ... Solar Bones is a stunning outcry against human isolation and the 'cosmic odds stacked against this here-and-now.' It is a heartfelt hymn to the matchless shelter of love, singular in its stability, relentlessly singing us home. ...[a] remarkable book ... It is broken by breath and by paragraph indentation, but never by the full stop of finality. Yet it would be quite possible to be swept into this book’s homely, poetic narrative and not notice this device at all ... Marcus’s life is an ordinary one in much the way that the life of Leopold Bloom, his literary predecessor, is ordinary. It is the vivid attention to detail, both in Ulysses, James Joyce’s masterpiece, and in Solar Bones, which make both these novels resonate like that evening bell. What did you think of Solar Bones?